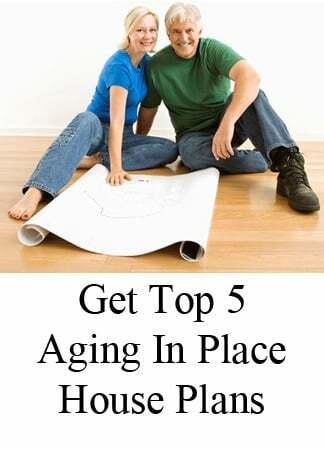 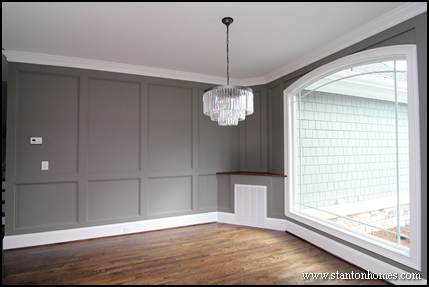 Below are 5 top ways to add wainscoting to a bathroom. 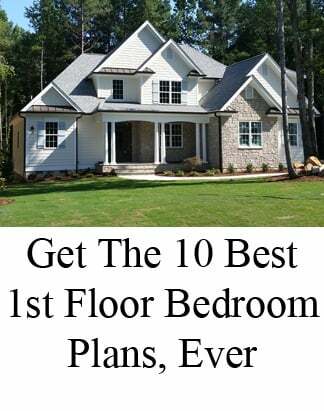 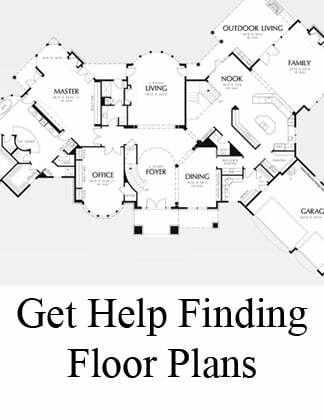 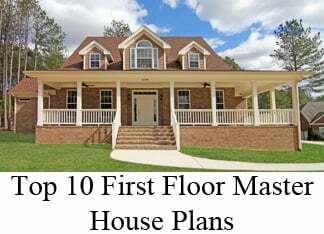 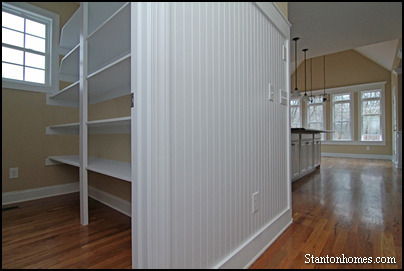 See examples of kid's bathrooms, powder rooms, and master en suite bathrooms, each with custom wainscot panel designs. 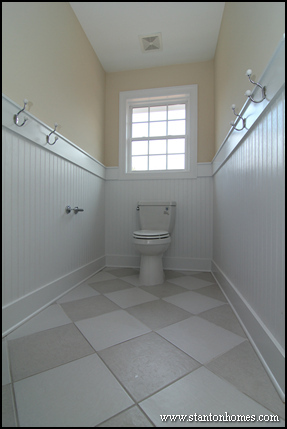 In this kid's bathroom, white wainscot walls set the toilet area apart. 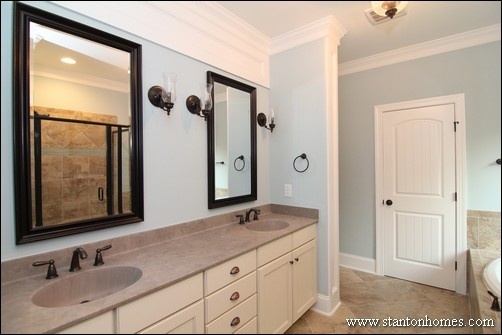 Towel hooks offer open storage on each side of the room, beside the vanity area and shower. 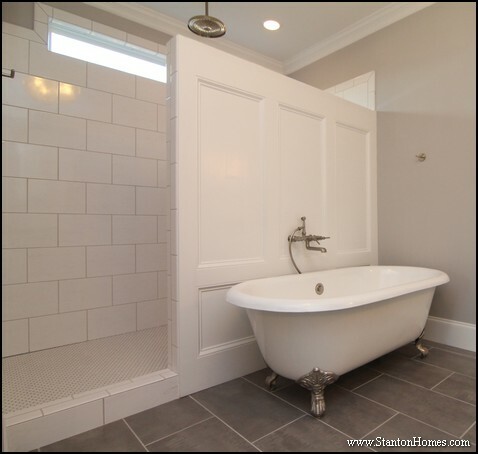 A single, full wall of wainscot style panels divides this master bathroom into two distinct spaces: with a shower on one side and freestanding tub on the other. 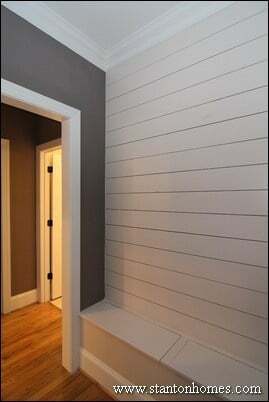 White panels not only make the room a bit more formal -- they also create a spa atmosphere. 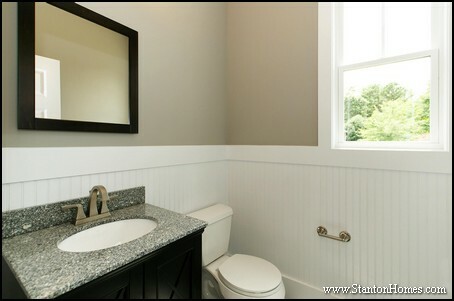 A cabinet sink would overwhelm this small powder room, which uses a pedestal sink instead. 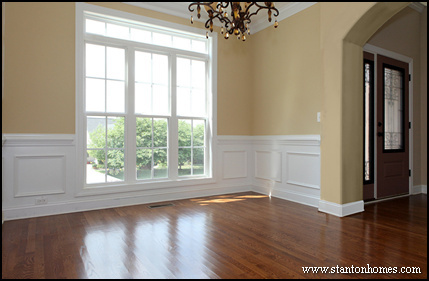 A simple painted picture frame wainscoting design and gold framed mirror add formality to the room. 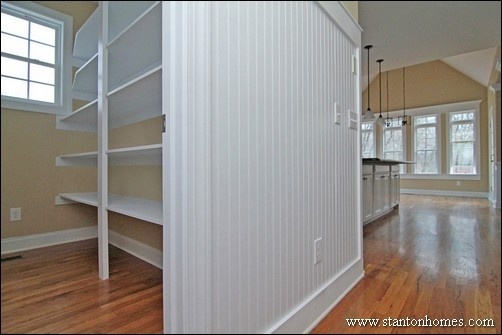 Wainscot panels run along the walls of this powder room. 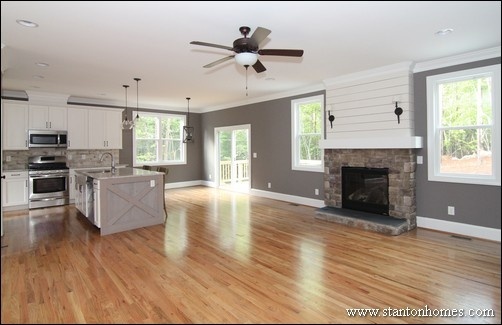 A gray, black, and white granite counter top pulls the room colors together. 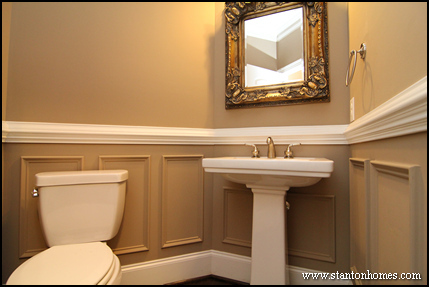 When used in such a small space -- like a powder room -- wainscoting panels can make a huge design difference with minimal cost. 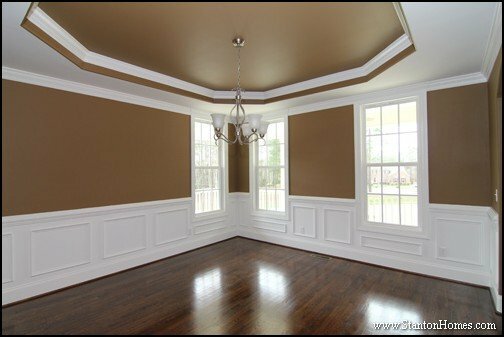 While wainscoting is typically painted white -- to match the room's trim color -- we're seeing more requests for painted wainscot walls. 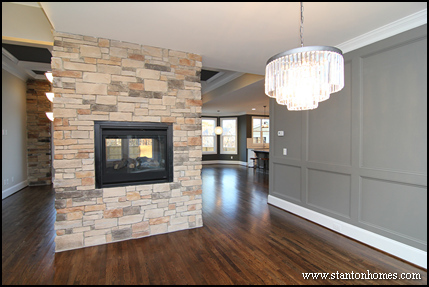 Here is an example of gray wainscoting in a contemporary master bathroom. 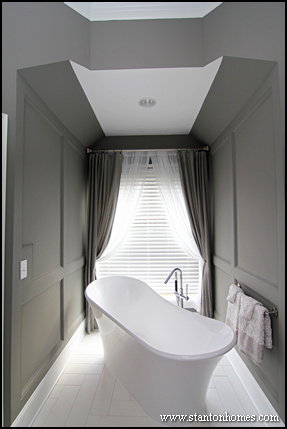 The white floor tiles form a herringbone pattern below the freestanding tub. 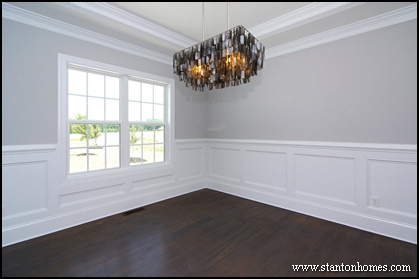 Wainscoting and paneled walls are a classic addition to any bathroom - from powder rooms to kid's baths to the master en suite bath. 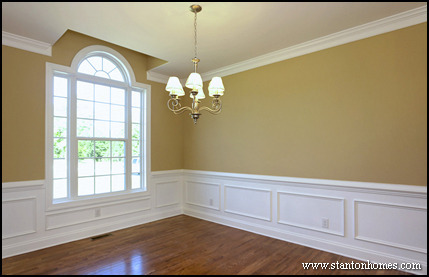 Wainscoting patterns may include chair-rail molding, baseboard, and a series of design pieces that form a distinct design. 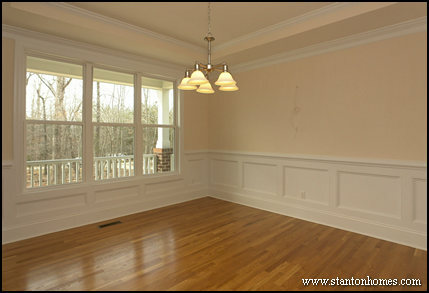 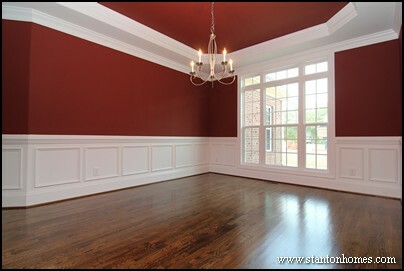 As a lower wall treatment, wainscoting adds a more upscale, formal look to a room at minimal cost. 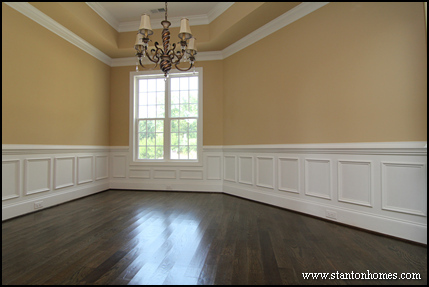 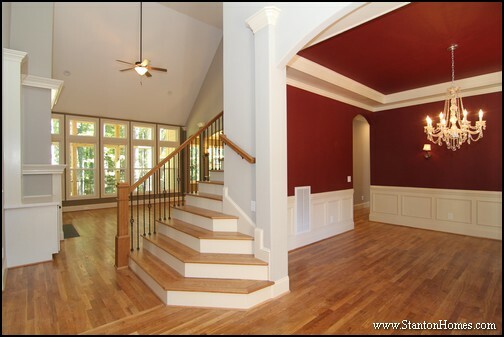 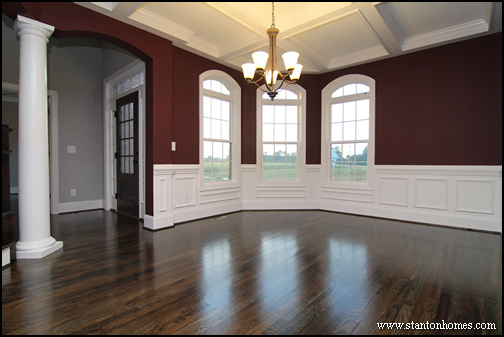 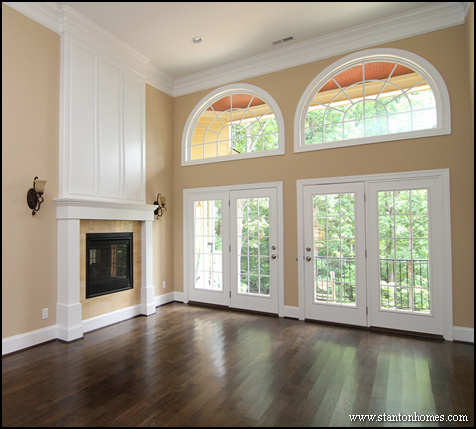 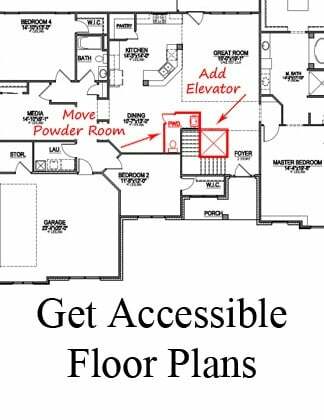 You'll most often find wainscoting in formal dining rooms, foyer entryways, hallways and powder rooms. 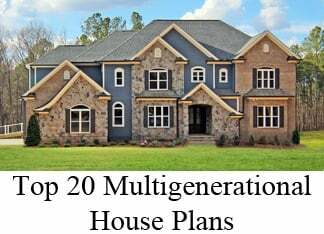 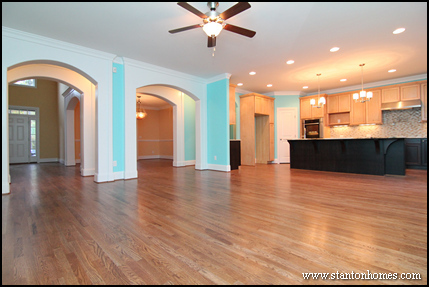 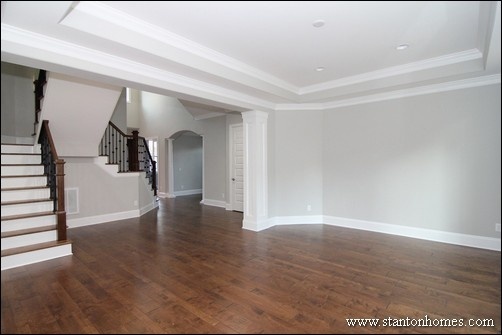 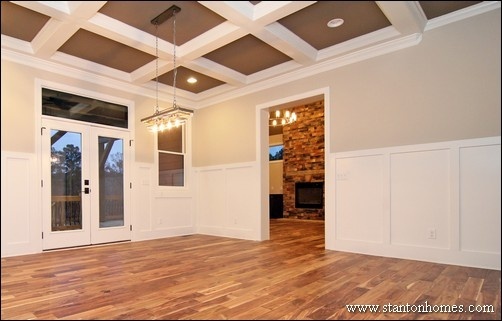 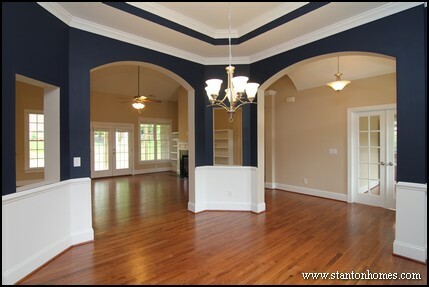 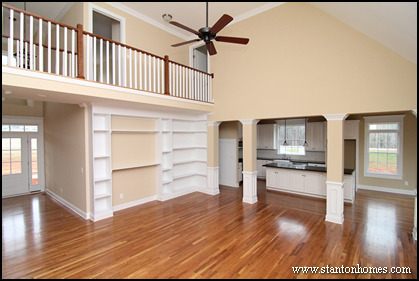 Click here to see our Houzz Ideabook of wainscoting designs in kitchen, columns, and other unique spaces.